Have you ever got stuck from following more people on twitter? Till now tehre was a limit on twitter that you cannot follow more than 2,000 user accounts till your own account do not have 2,000 followers. But bringing relief ot twitter followers. twitter has announced today that they are increasing the limit of number of twitter accounts you can now follow from 2,000 accounts to 5,000 user accounts. This is not for some particular person. Twitter bring this features to account of every single user, but with some exception. So from now If you already hit the follow limit of 5,000 user accounts and still want to add more, then Twitter can allow you depending on how many twitter accounts follow you. Now a days Twitter is more focused on monitoring and cracking down unnatural following, as well as unfollowing. 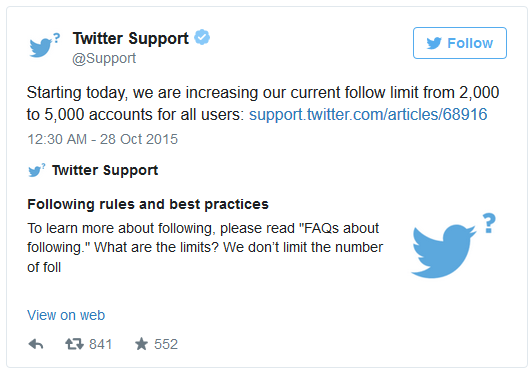 Twitter has updated its new following rules and best practices so it is not going to accept mass follow. It is also not going to tolerate repeatedly follow and unfollows. 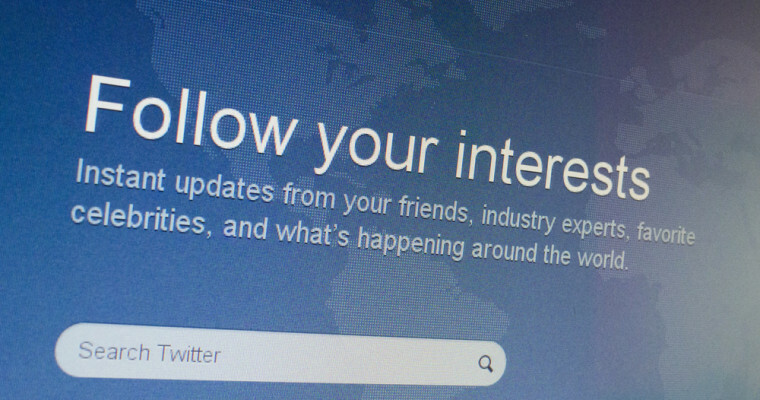 Twitter considers known as “spam tactics”, and warns that it can lead to account suspension. These new guidelines will apply to all.